Don L. Ross, Esquire, was recognized by the Community Foundation of Western Nevada as a Friend of the Foundation for his devoted service and continued referrals to the Foundation. On September 22, 2010, at the Foundation’s annual banquet, Chris Askin, Executive Director of the Foundation, presented the award to Mr. Ross. The Foundation recognized Mr. Ross for directing a number of his clients to utilize the Foundation’s services to benefit the local community. Mr. Ross has served as a Professional Advisor to the Foundation for several years. 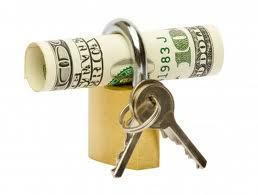 The Wall Street Journal examines whether the estate tax should exist at all: http://bit.ly/bavBH8. The estate tax exemption amount (more properly titled the “exemption equivalent amount”) increased greatly from 2001 until 2009. During the late 1990’s, government economists projected budget surpluses in the coming decade. Therefore, the government sought to cut both income and transfer taxes. What the economists did not forecast was the tech bubble bursting, wars in Iraq and Afghanistan, and the most recent economic recession. Due to Congressional inaction, the estate tax has lapsed this year and the clamor for an outright repeal of the estate tax has heightened. The Journal presents viewpoints supporting the estate tax: http://bit.ly/cCKsx2 and the argument against the estate tax: http://bit.ly/91CnzS. 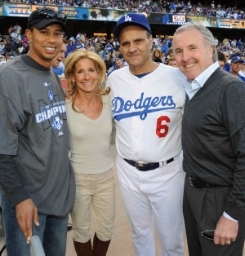 Major League Baseball fans might be aware that the ownership of the Los Angeles Dodgers is at stake in the divorce proceedings between Frank and Jamie McCourt. The court filings have included many salacious details: Jamie’s alleged affair with her driver, the Dodgers’ use of a Russian psychologist who used his mental focus to somehow will the team to victory, Frank’s plans to severely cut the team’s payroll, and the couple’s extravagant lifestyle. Jamie alleges that she owns a portion of the Dodgers despite signing a post-nuptial agreement stating that the team was the sole property of her husband. You may ask, why would a former divorce attorney with an M.B.A. give up her rights to the couple’s most valuable asset? Frank McCourt’s attorneys explain that Jamie wanted the agreement to shield the couple’s numerous, luxurious vacation homes, held in her name, from creditors. The McCourts borrowed $125 million to purchase the Dodgers and then used cash from the team’s earnings to buy homes that are safe from their creditors. The article provides links to several stories of wealthy couples who place assets in the name of a spouse for asset protection purposes.